David Watson is an Australian photomedia artist and writer intrigued by ‘progress’. 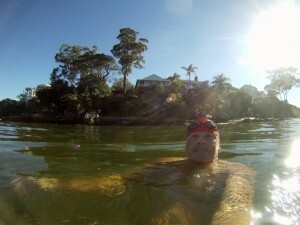 In 2012 he completed Wild Ryde, a doctorate fuelled by the ‘findings’ of a slow, six-year walking and swimming pilgrimage across suburban Sydney: He currently works with a collective of environmentally-concerned contemporary artists opposing new coal mining and CSG fracking in New South Wales. He has always considered himself a street artist. First in London in the 80s when he lived in a housing cooperative in New Cross, and then in Bethnel Green. On weekends he would comb the London A-Z by bicycle with his trusty Olympus OM-1, seeking out forgotten corners, layered textures and colonial echoes. Latterly he has been walking the streets through the suburbs of Sydney to capture memories. 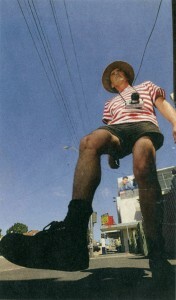 In 2005 he determined to walk west from his home in urban Rozelle following the spine of Victoria Road, a major artery, out of the city. Over two years and 19 walks his path led inexorably to his childhood home in suburban Dundas, where his elderly, now-ailing parents had lived for 60 years, looking out to the Blue Mountains. Although less than ten miles as the crow flies, David’s serendipitous, looping route covered perhaps 100 miles of concrete, bitumen and harbour-shore. 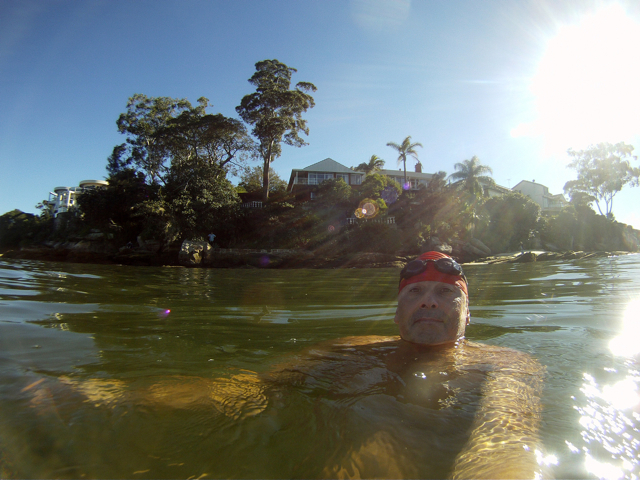 When he reached his destination, he chose to swim back, along the Parramatta river to Sydney. This interview was recorded on a blustery day in October 2014 while on a walk through Greenwich Park, London. This entry was posted in Activist, Artist on May 9, 2015 by admin_TW.